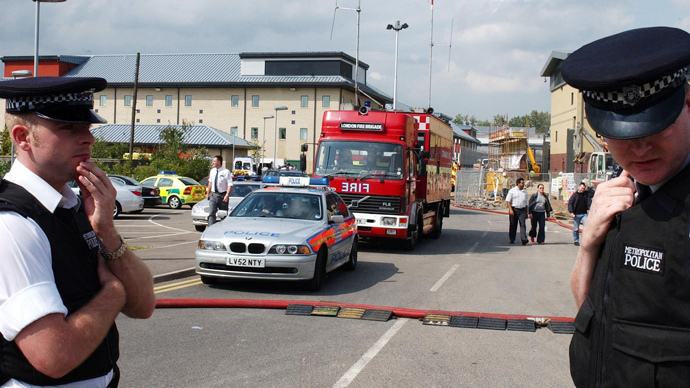 UK authorities have banned filming at Harmondsworth immigration removal center, where hundreds of asylum seekers are on hunger strike. It is to avoid public criticism over the facility's poor conditions, a staff member said, unaware he was being recorded. Investigative journalists from the Corporate Watch group snuck into Harmondsworth with a hidden camera and received a pretty straightforward answer from an employee on why no filming is allowed. “Say you’re in government and you have an illegal immigrant detention center which is this, detention center, yeah. And they (detainees) all have their phones with them, right, and a fight kicks off or, like, there’s bad conditions, which [in] this center there’s bad conditions, right,” an unidentified Harmondsworth staff member said. “And people/you guys are taking photos of these bad conditions like rats and whatever other sh*t that’s in here. And you’re sending it outside, sending it to news, whatever, that looks bad for the government, doesn’t it?” he added. 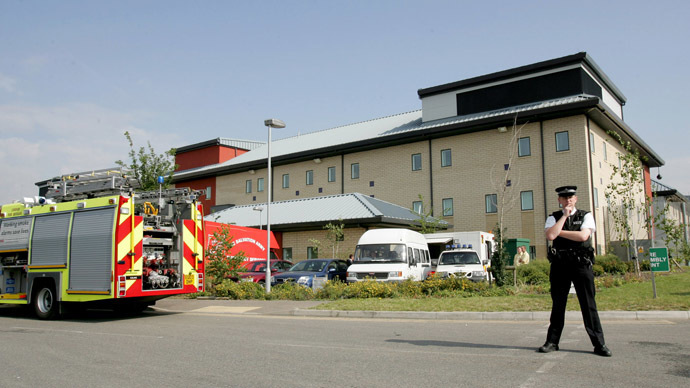 The poor conditions at the facility, located near London's Heathrow Airport, have forced nearly half of the inmates to go on hunger strike. The strike has entered its seventh day. A social media campaign to support inmates kept in detention centers has been launched under the hashtag #DetainedVoices. 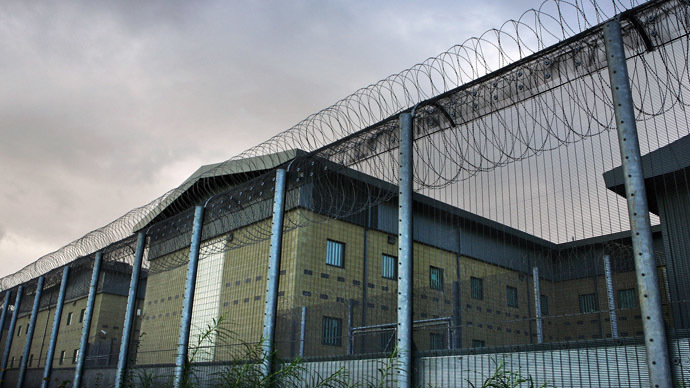 Activists protested outside the London detention center on Saturday, backing the hunger strikers and demanding that Harmondsworth and similar centers across the UK shut down, RT’s Harry Fear reported from the British capital. “We’ve come here to fight to see that [the] detention center is closed down and people are let free,” one of the demonstrators, a Ugandan man named Ahmed, told RT. Ahmed himself spent two months at Harmondsworth. He now says the very existence of the center goes against claims that Britain is a country of freedom. According to Ahmed, the conditions at Harmondsworth are inhumane. “They lock people round all the time. There’s no freedom. There’s no freedom of expression. The healthcare system is so unhuman (sic),” he said. RT, along with independent journalists and human rights organizations, has collected stories from other inmates – all of whom echo Ahmed’s words. “I’ve been detained for more than 17 months now and my friend – with me here – four years. I’ve seen everything. I’ve seen everything,” one inmate said. Another detainee accused the UK Home Office of being “ignorant” regarding the situation. “We are slaves here. We are being treated like criminals. We are being intimidated here. We are being harassed here,” he said. The current hunger strike isn’t the first time that Harmondsworth has found itself in the center of controversy. In 2004, an immigrant committed suicide at the facility, resulting in major disturbances. Two years later, riot police were brought in to halt a protest which erupted after the publication of a damning report by the chief inspector of prisons. Last year, there was a non-violent protest at Harmondsworth, which was still broken up by security forces. Britain’s Home Office estimates that some 30,000 migrants and asylum seekers are detained indefinitely in the country each year while their immigration status is resolved. Many are held for months or even years.